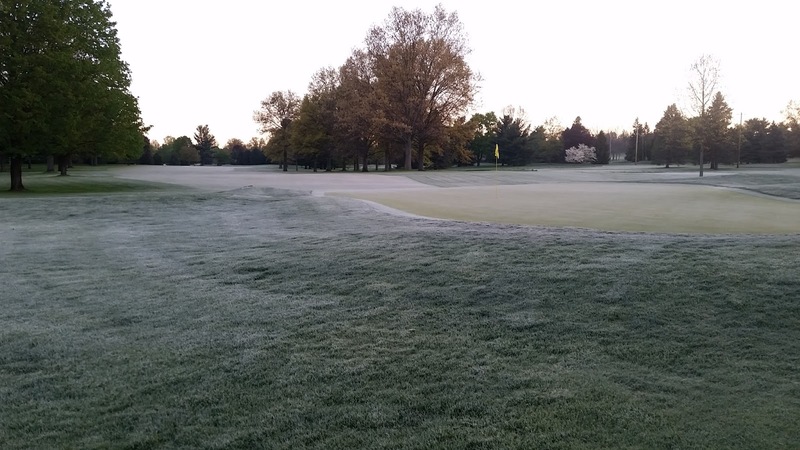 The cold weather in early May (including morning lows below 30 degrees on May 5th and 8th) was not a welcome sight for the turfgrass in the fairways and green surrounds. Many of you have asked me about the orange tinge you saw when looking at a fairway from afar, while it looked green when on the fairway. 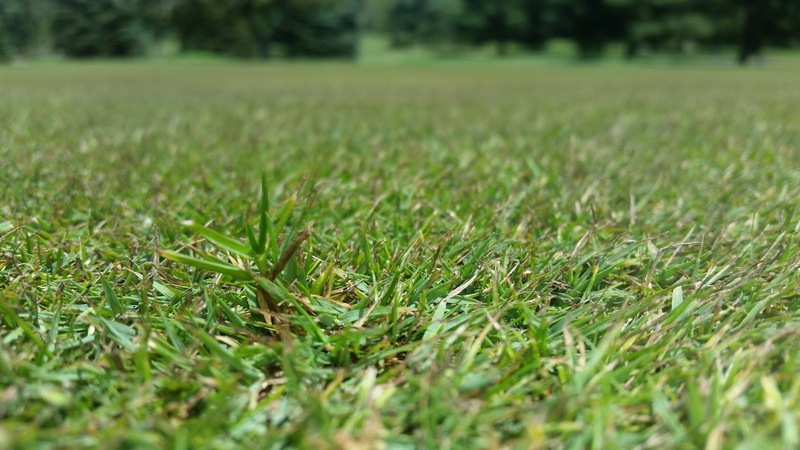 The pictures of 17 fairway close up showed the orange is actually the tips of the leaf blades and the old leaf blades, with greener, healthier turf growing below. 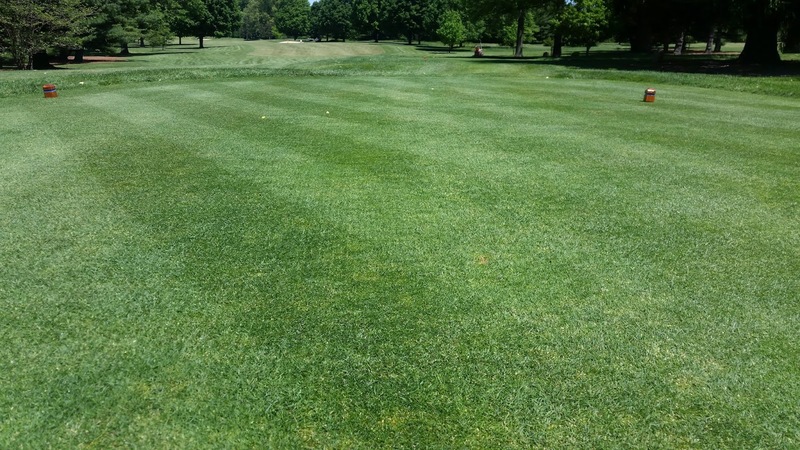 The variety of bentgrass we have in our fairways is an older variety that is quite susceptible to cold temperatures. 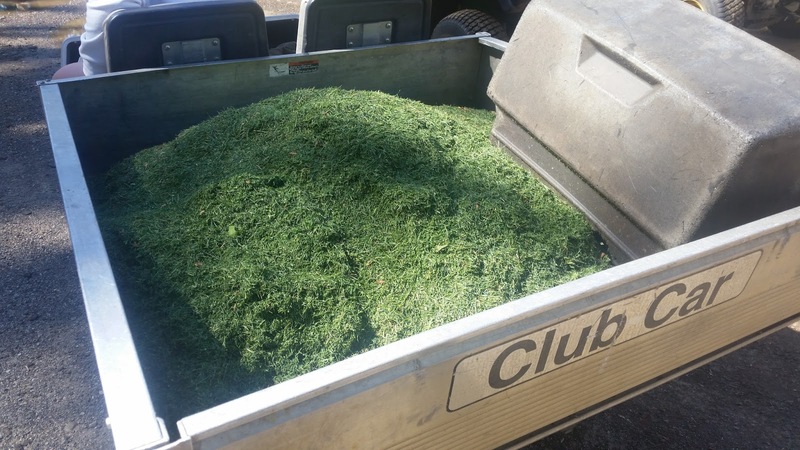 The two freezes we had earlier in the month stunted the turf’s growth, and would not push new growth until more consistent warmer weather returned, which in the last few days has. 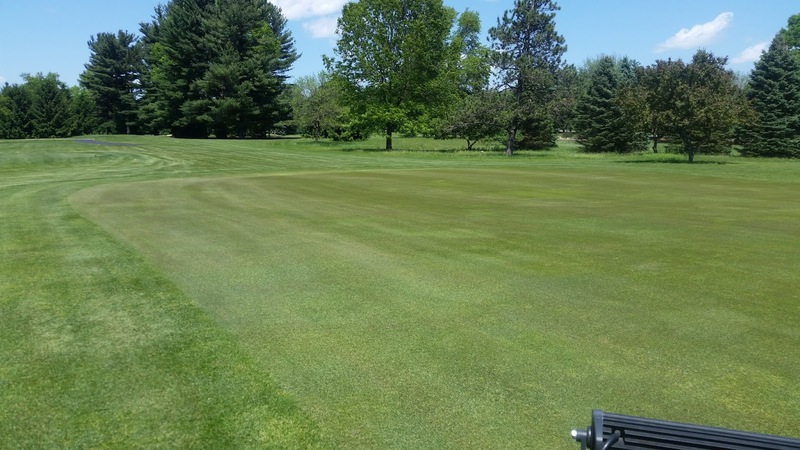 Green surrounds have finally shown growth and have received their 2nd fertility application to provide consistent food for the next 90 days. 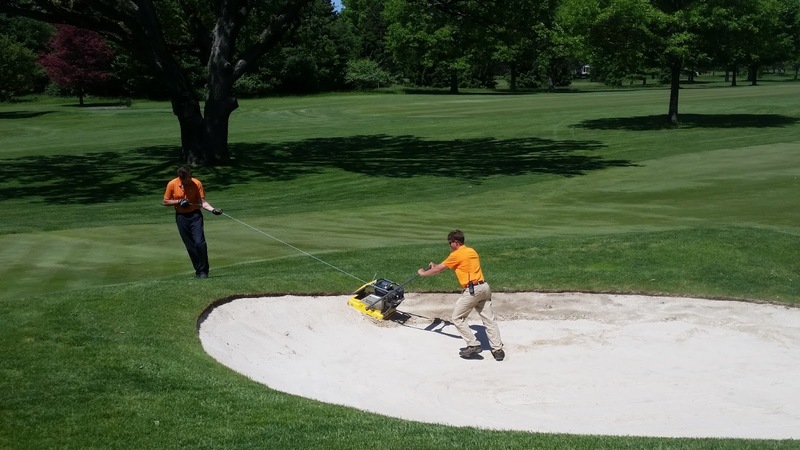 The staff also has concentrated on detail work in the bunkers and tees. 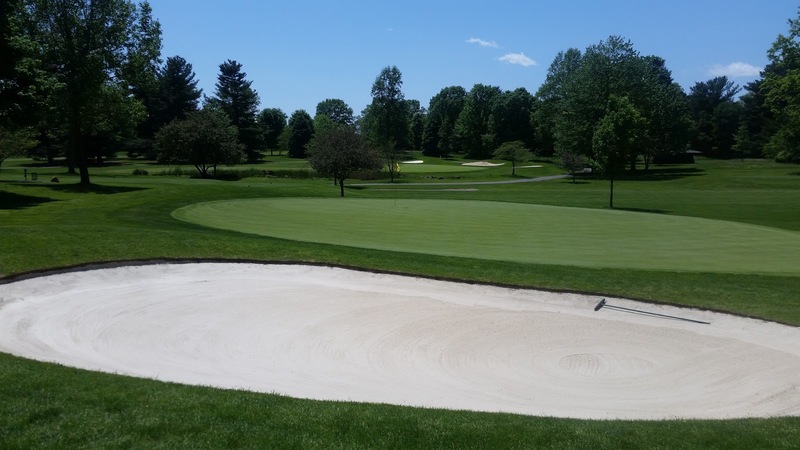 We rented a plate compactor to further firm up bunkers that have had new sand installed within the last 2 years, and sifted through the sand to remove as many rocks as possible. 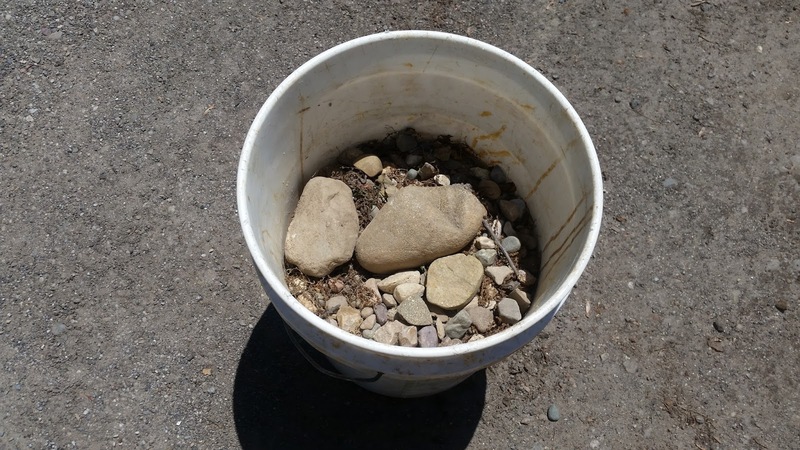 It continues to amaze me the amount of rocks that consistently make their way up from the subsoil to the surface through washouts, frost heaving in the winter, and maintenance practices. Four 5 gallon pails were removed on the bunkers on holes 7 and 16 alone. Removal of these impediments will continue to be a priority for our staff. Tees were verticut last week to remove excess growth and thatch. 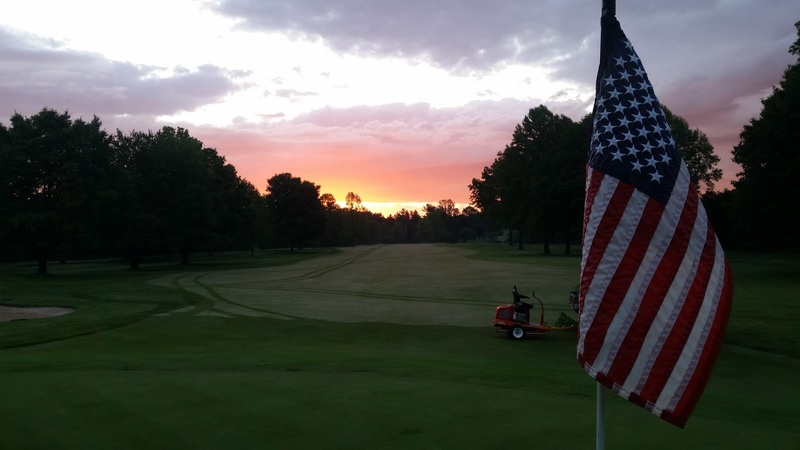 We will continue to work on firming up these playing surfaces. Lots of material removed from tees! The Fiesta Hut project is completed and I couldn’t be happier on the resulting product. 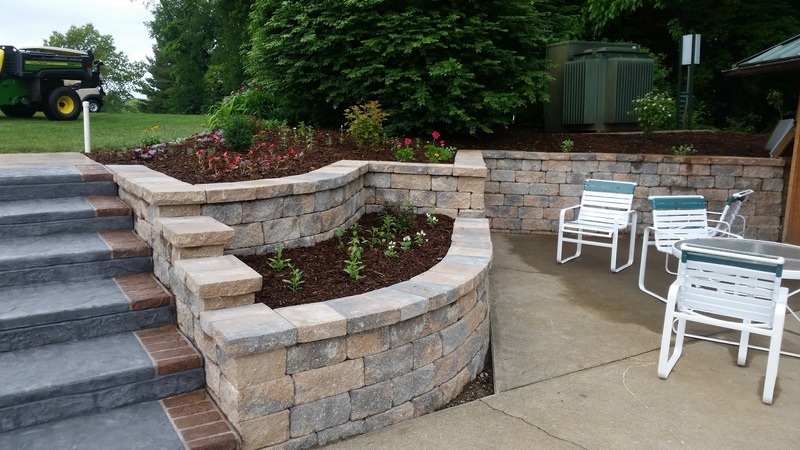 With the wet weather, our concrete contractor has fallen a bit behind on his work and as soon as he can, they will be out to finish patching the walkway around the new stone wall. When you see him, please thank Greg Stump for his efforts on this project, and his other transformations around Elcona. He is currently in full planting mode, adding tremendous color to the Elcona landscape. 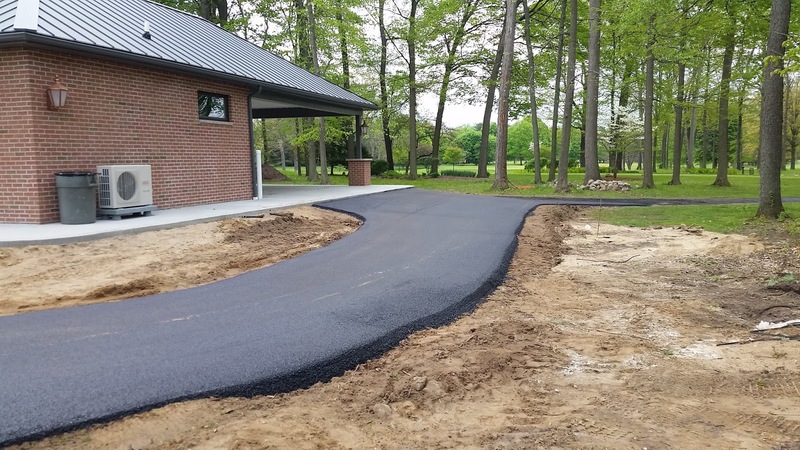 Finally, NiBlock was out earlier in the month to refurbish the cart paths in the woods, 7,11, and Halfway House, and did a wonderful job. 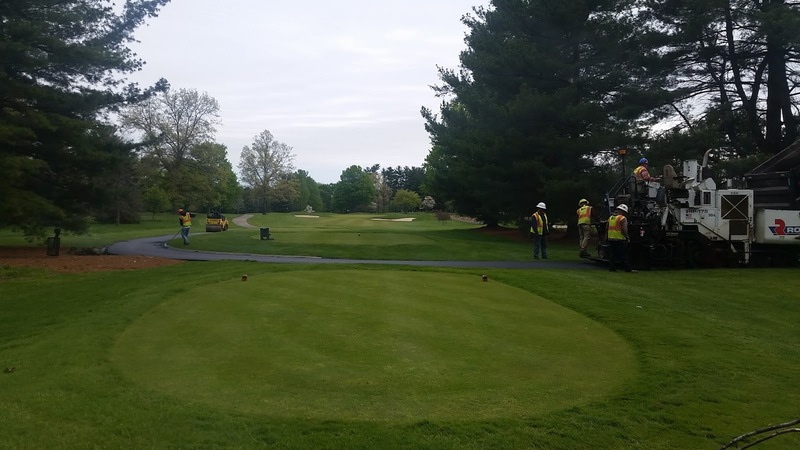 The staff is currently planting grass seed and landscaping around the Halfway House, and as course needs allow, we will be adding soil and seed to the shoulder areas that need raised up. If you have any questions, please contact me at ryan@elconacc.com. Thank you, and I will see you out on the golf course! 4 Green, 5 Tee, 6 Green, 7 Tee, 7 Green, 11, 16 Green, and around the new Halfway House. 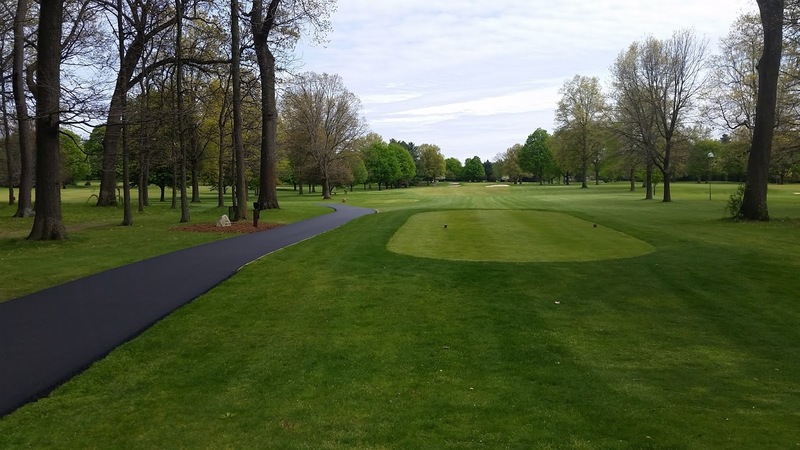 If during the course of your round you encounter fresh asphalt in these areas, please stay off of the paths. 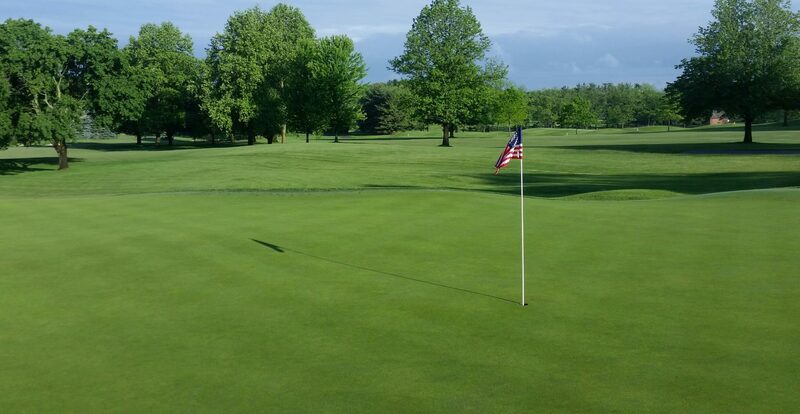 Please drive around 8 Green to access 11 Tee. Also, their crew is aware that the course is open for play while they are out here. However, please be aware that they cannot move easily out of the field of play and you may have to wait or skip an area if they are working in the area. I thank you in advance for your understanding and cooperation in this matter. 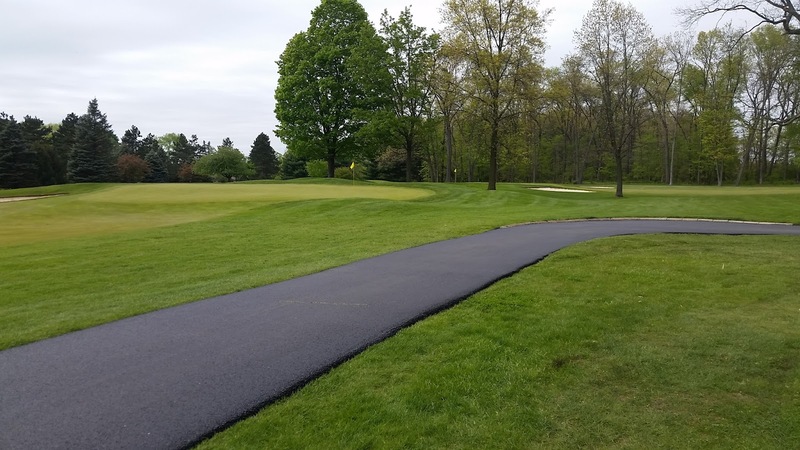 When finished, these paths will be a great improvement to the golf course and your enjoyment of it. If you have any questions, please let me know at ryan@elconacc.com. Thanks, and I will see you out on the course!